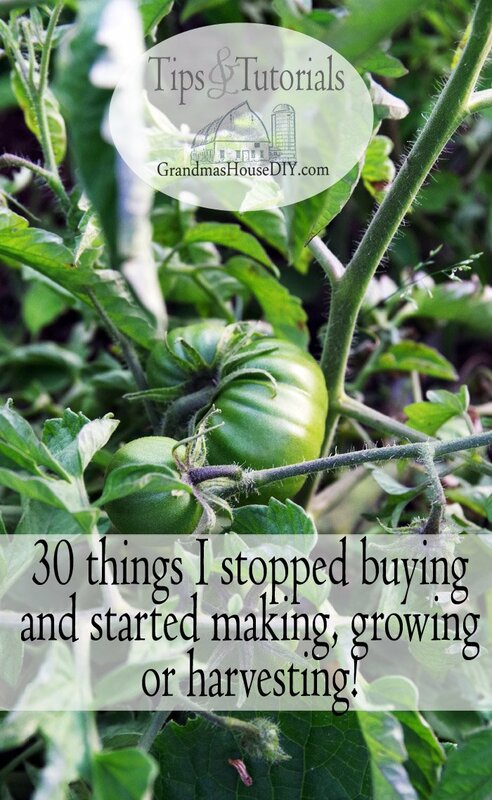 A post all about the 30 things I stopped buying and started making, growing or harvesting! I was having a conversation at work the other day, chatting about what I did the past weekend etc. I mentioned I had finished making seven quarts of chicken stock and I had several pairs of eyes blink at me, “You did what?” Oh, I just broke down two organic hens, freezing five meals worth of meat and then I proceeded to make seven big jars of chicken stock out of the carcasses and leftover veggie scraps… not weird at all, right? At this point there aifre many things that I stopped buying and do very differently when most people would simply add it to their grocery list. This whole frugal and self sufficient thing is all about baby steps. I didn’t start like this: I used to add dishwasher detergent to my grocery list when I ran out just like everybody else. I used to buy a big jug of the cheapest lotion I could find at the beginning of every summer to help me keep my tan like it was some kind of tradition, without ever wondering what kind of ingredients were in it. But, one thing at a time, I’ve slowly changed my habits, when I run out of dishwasher detergent now I grab my ingredients and just mix up some more. Talk about convenient! Honestly I’m starting to think I’ve become like this simply because I hate going to the store and buying anything! I run into the argument for making things yourself that the ingredients to make something can also be expensive and not always affordable… Here’s the truth though: if you can afford to buy paper towels then you can afford to buy regular cotton kitchen towels… If you can afford to buy laundry detergent then you can afford to buy the ingredients to make your own. Everything on this list will pay for itself and then pay you back sometimes an infinite amount of times – Case and point: Buying silverware once instead of buying plastic forks over and over and over again. Your local thrift store is a REALLY great place to start! (I still drink out of mason jars left to me from my Grandma, they work great – why would I buy new?) If you’re not picky on “matching” especially you can easily get good, quality plates, cutlery, cups, glasses, towels etc. for only a few dollars so you never have to buy disposable again. Most recipes for household products these days call for essential oils and almost every single one of them can be made WITHOUT essential oils. If you can afford a $2 gallon jug of vinegar you’re already halfway there to making most household cleaners and, honestly, you can get by with just vinegar in almost every single mess that could possibly present itself in your home. #2 Frozen or canned produce – I honestly I can’t remember the last time I bought frozen produce. Between gardening or enjoying the fruits of friends’ labor when they have way too much produce out of their own gardens: none of my frozen produce was purchased in a store and I don’t use commercially canned anything. #3 Pickles. With the awesome cucumber harvest I got from last year’s garden and the great recipe I found online I have 8 quarts in my refrigerator right now! 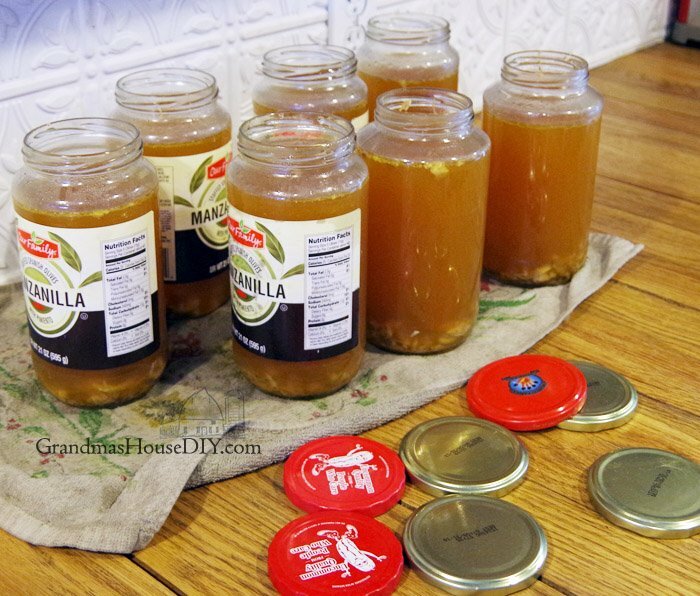 #4 Stock of any kind – Stock (or broth) in the store will never compare to homemade, I always have several jars in my freezer that I use for soups, sauces and gravies. I make the stock using leftover bones from protein (usually poultry) and vegetable scraps that I keep frozen and collecting in a big freezer bag. #5 Fish – Living in the land of ten thousand lakes means that everyone I know loves to fish. I enjoy fresh walleye, trout, crappi, blue gill, sun fish and bass whenever they’re in season! And I always have a couple of pounds frozen in my freezer at any one time. #6 Red meat of any kind – Living in north country Minnesota every family has at least one deer hunter so I’ve never had to purchase beef or bison. #7 Soups – I remember how it used to be normal to me to buy soups in the can at the store… I had a ham bone saved in my freezer that I made soup out of just the other day and, ya know what, it was INCREDIBLE. It astounds me that most people would have just thrown it away. I got four meals out of that pot of soup and it literally cost me less then $2 in beans, onions and celery that I added besides. #8 Pre-made meals of ANY kind – I think this one goes without saying but I make all of my meals, sauces and gravies from scratch. #9 Milk – I haven’t technically replaced cow’s milk with anything after I stopped buying it because I hardly ever used it anyway and mashed potatoes can be truly incredible without any milk added. #10 French fries etc. – Great french fries at home are really easy to make! #11 Microwave popcorn – All you need is a big pot with a lid to make absolutely incredible, healthy popcorn at home. You can use an air popper too (I do both) sometimes I feel like making it on the stove other times I use my air popper. Or, do what I do, don’t buy it for yourself, start an Amazon wishlist: a $20 popcorn popper would make a great gift to you and your family! 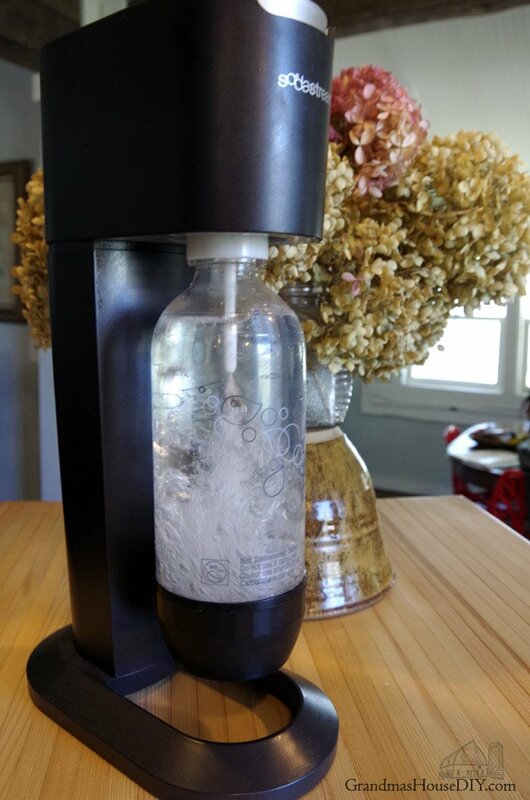 #13 Pop (Soda) of any kind – I make my own with my Sodastream or I do without 🙂 And, like I mentioned earlier about the popcorn popper, this would be a great gift that someone could give to you and your family! A lot of times I just make carbonated lemon water and keep it in the refrigerator. #14 Garlic Bread – It is easy to buy that box of saturated in god-knows-what garlic bread and just pop it into the oven when you get home. But it is also almost as easy to buy french bread, slice it up, butter it and sprinkle it with garlic salt and about 30 times cheaper. #15 Keurig K-Cups – So it was something like 9 BILLION Keurig K-Cups that ended up in landfills last year and they’re not cheap. They make reusable/refillable k-cups that are easy to use and dishwasher safe so there really is no excuse. #16 Paper Towels – Get yourself some decent kitchen towels and you’re all set. Wiping up something nasty? I keep a plastic bin in an out-of-the-way spot in my laundry room just for kitchen towels, the used ones get thrown in there right after I’m done using them. When the bin is full I wash them. #17 Paper plates, disposable cups and plastic utensils – Get yourself some decent plates, cups and a good knife/spoon/fork set and you won’t have to buy them again for YEARS. #18 Trash bags – Because I sometimes forget to bring in my cloth grocery bags when I do go to the store I found that plastic grocery bags make great garbage bags throughout my whole house! #19 Table cloths – really though, nothing annoys me more then spending money on something I’m just going to throw away anyway, get yourself some decent table cloths and just wash them when you need to. Or, even better, cover the surface of your tables with several coats of a good poly acrylic and you’ll never need to worry about covering them with table cloths again. 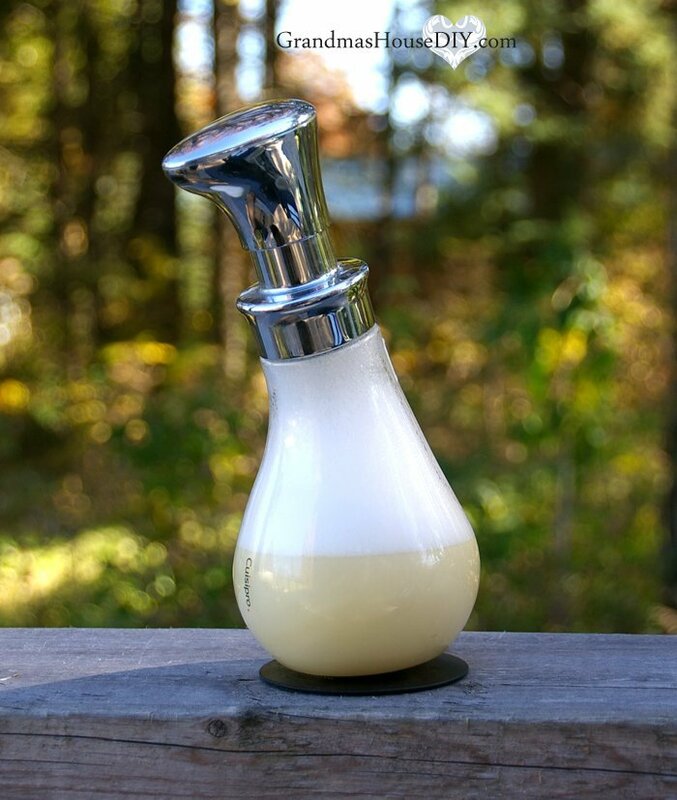 #20 Lotion – See my recipe here. #23 Fabric softener or dryer sheets – No need for a recipe link I just add a tablespoon of white vinegar where the liquid fabric softener goes, no static problems at all and it helps keep my machine clean! Oh and I PROMISE your clothes will NOT smell like vinegar! #24 Dishwasher Detergent – See my recipe here. #26 Hand and Body Scrub – Sometimes you just need a good scrub! I made this incredible Men’s hand scrub for gardeners and mechanics last year for gifts and this softer recipe for your whole body. #28 Perfume – See my recipe here. 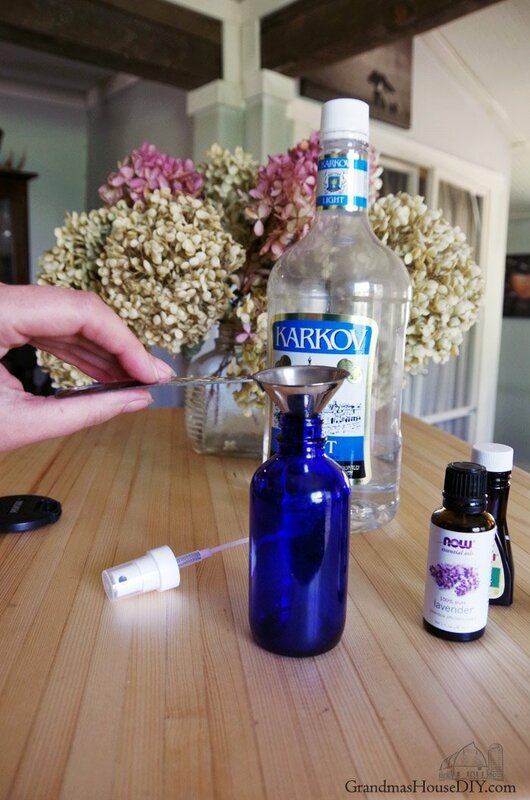 #29 Air freshener – I’m not sure how a list of being frugal could possibly include any kind of expensive chemical spray to make your house smell like fake flowers… but I do have a little essential oil diffuser that I use every great now and again. Really though just open a window or, better yet, figure out what stinks and dump some vinegar on it. #30 Rags – Last but not least I was in the automotive department when I ran into shop rags now, don’t get me wrong, they were really cheap and I understand there are folks out there that wax their car and they want some special rags to do it but: OMG REALLY?!?!?! I use old t-shirts in my wood working shop and they work just fine. I get one last use out of my clothes that aren’t in good enough shape to go to my local good will. That’s it so far guys of everything I’ve stopped buying and am either making, growing or harvesting! Every day I’m looking for more and more ways to eliminate purchases from my household to both save me money and remove the chemicals from my home. 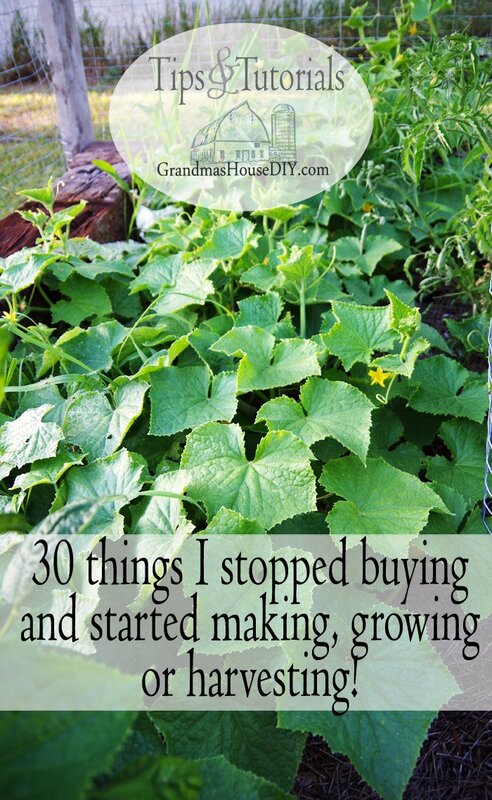 Do you have some things that you’ve started making, growing or harvesting yourselves? This is how I was raised, also largely in part with my grandmother. I am grateful to you and your blog for reminding me that not everything we use has to come off of a shelf. I live in a city now, really just several hours north of you. My goal this year is to expand the garden again to see just how much of what I can grow will sustain us, and for how long. 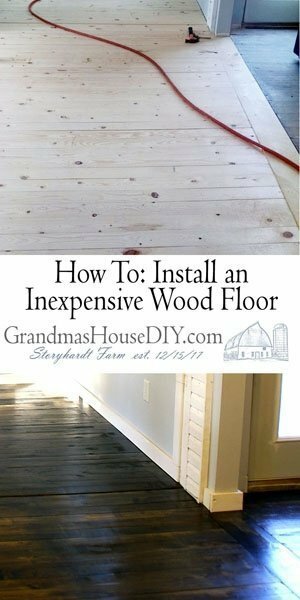 Hi Shawn, it is truly amazing how easy it is and how much money we can save by just replacing a few things in our homes, making them from scratch, or even doing without! Thank you for coming by, reading and commenting! I go to the grocery story 4 times a year. We grow, raise, hunt all of food. Found you on Party in Your PJ’s Link Party. That’s wonderful to hear Candy! It’s so awesome to be so self sufficient! Thanks for sharing with SYC. Thanks Jann for coming by! This is an impressive list! I must say you are amazing for all you do, and for what you share here on your blog! I love all these ideas to become self-sufficient! I have a balcony garden that I add herbs to from time to time. It’s not much, but like you said, its all about taking baby steps. Great read! Thank you Ann! I plan on adding a little herb garden to my kitchen window! Thanks for coming by Roseann, have a great week! Thanks for sharing this with Home Sweet Home Tarah. I am going to make 2018 the year I try the laundry soap and dishwasher detergent. Thanks for sharing! Hi Sherry, the laundry soap is my fav, I make a big batch and it lasts me six months. Thanks for coming by! Smart, smart, smart! Great ideas and just what I needed this weekend. I’m over from the Pit Stop, nice to meet your blog! Thanks for coming by Carol, have a great week!! Man I wish I were back on the farm, fresh tomatoes, wipe it off and enjoy. 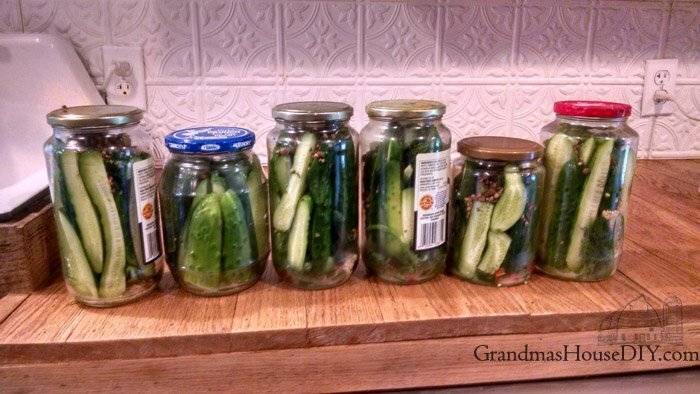 My Grandmother taught me how to can and make the most wonderful “Garlic Pickles” so crisp and do not need to be kept refrigerated. I wondered how much dishwasher powder you use per load and do you place it in the dispenser? Have been using vinegar or no fabric softener for a while and can not believe how soft and drying my towels are. Also made wool dryer balls to help with static. Thank you for coming by Barbara! I have a little dispenser in my washer/dryer combo unit that amounts to about 1/4 of a cup (or a little less) of my liquid detergent that I make. Thank you for the reply, I must not have been clear is not the dishwasher soap a powder? The one using Borax Soda, citric acid & Himalayan salt that is the dispenser I was asking the amount of powder you used. Oh Barbara, I apologize that was my fault, I didn’t read it closely enough! The dishwasher powder I use about a tablespoon per load, I fill the detergent spot in the door of my dishwasher. Tarah, you are truly amazing with all of the things you have learned to make and do on your own. We all need to take some lessons from you! 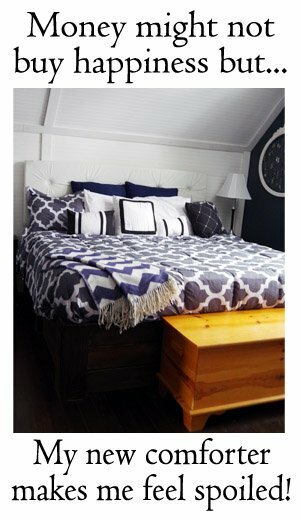 Thank you for sharing this great list with us at Party in Your PJ’s. Pinned and shared! Thank you so much Teresa, have a wonderful week! I found Cleaning Vinegar at Krogers and am trying it. Thanks Barbara, have a great week! Ok, I’ll be honest, some of those made me stop and think WHY am I not doing this?? I’d love for you to share over at a new party called Let’s Party https://themarkandjanshow.com/2018/01/02/lets-party-5/… look forward to seeing you there! Thanks so much Jan! 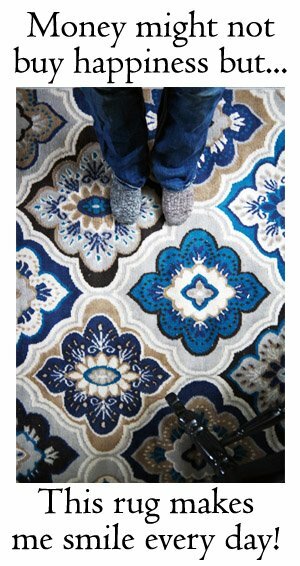 So many of these are so easy and simple to do and they save a ton of money in the long run! Thanks Christina, have a great weekend! I enjoyed reading your list and am inspired to use less, make and bake more. I didn’t see this product on your list so thought I’d share it with you. I am 67 and have the best facial skin I’ve ever had with no wriggles. All I do to clean my face is use a mix of coconut oil and baking soda in a bell jar. This mixture makes the best facial and body scrub. I get in the shower at night and put a small scoop on my face, chest and neck. I softly scrub it in and then wash off the mix until the baking soda is gone, but the oil is still there. The oil keeps my skin soft and acts as a moisturizer. My husband use to use hair products, but a few years ago I finally got him to try coconut oil on his hair. He hasn’t used anything but coconut oil on his hair since then. It takes very little of the coconut oil to tame your hair and make it shine. It helps the scalp too. Oh what wonderful info! Thank you so much! 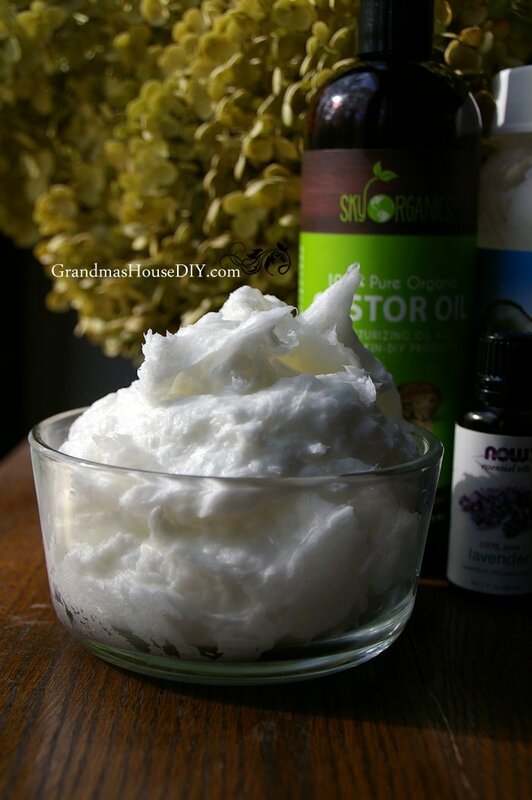 I do have that facial scrub recipe on my blog, it is AMAZING how soft and healthy it makes your skin but I had no idea you could use coconut oil in your hair! I can only imagine how healthy and good that is not only for your hair but also your scalp. Thanks so much for coming by and sharing with us!